Home Alone is the directorial debut of Hallie Meyers-Shyer, daughter of the renowned romantic comedy director, Nancy Meyer. This movie lets you in on familiar rom-com tropes in a silly but quite an enjoyable film experience. The movie stars Reese Witherspoon, a 40-something woman who’s at the point where she wonders what happened to her life. Alice (Witherspoon) is a 40-year old newly separated aspiring “interior designer” who just moved to back to her father’s LA home with her two daughters. Her husband, Austen (played by Michael Sheen), remains in New York. Then, on Alice’s 40th birthday, she meets three young aspiring filmmakers, who suddenly moved into her house. Home Alone is it not something everyone can relate to. It deals with anxieties, such as divorce, that everyone can understand being afflicted by. However, Alice, who is in marriage meltdown, remains quite positive. Alice plans to launch her career as an interior designer and even meets a guy – no, three guys at her 40th birthday party. Everything seems to be great in Alice’s life, contrary to what a soon-to-be divorcee usually is. But of course, conflicts arise when the three guys she met began staying at her home and her estranged husband decided to come back to meddle. 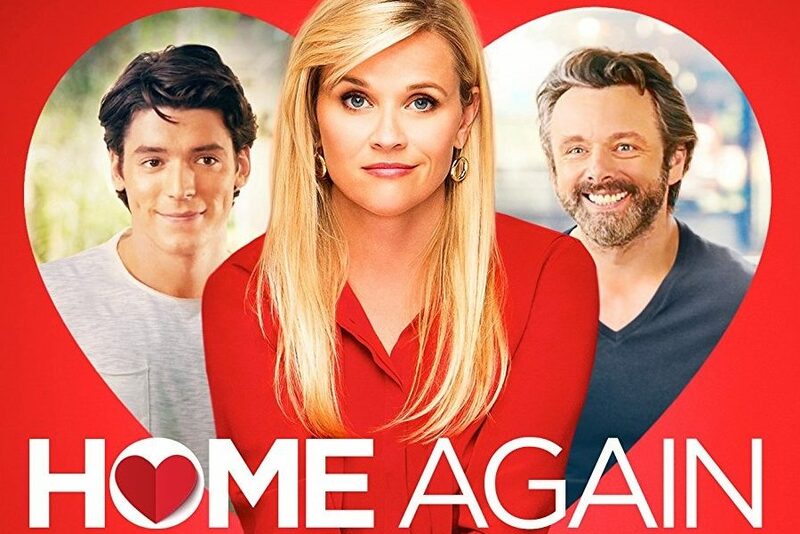 Home Again is not all bad, but if you’ve watched one too many rom-coms it becomes predictable. Some scenes are silly but it is great to watch if you like romantic comedy stories with light-hearted takes.